This foam filled neck collar helps to support the helmet when subjected to high G-forces to reduce whiplash injuries. The support is wedge shaped to provide a closer fit and is fire proo.. This flame retardant neck support collar is designed to reduce whiplash injuries by supporting the helmet when under heavy G-force loads. ..
Price from: 204.00 лв. Ex Tax: 170.00 лв. The Club range of HANS devices from Stand21 are a fantastic value entry level solution for racers looking for a HANS system on a budget, without compromising safety. The Club range of HA..
Price from: 540.00 лв. Ex Tax: 450.00 лв. Price from: 670.00 лв. Ex Tax: 558.33 лв. The Hi-Tec series is the flagship professional model HANS device from Sparco. 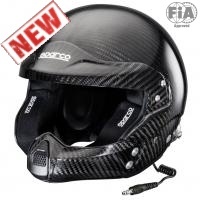 Constructed from Carbon fibre with ultra lightweight Titanium catches it is one of the lightest HANS device ..
Price from: 2,050.00 лв. Ex Tax: 1,708.33 лв. Ultimate is one of the newest and lightest HANS® device to date and is currently used by many F1 drivers including Lewis Hamilton, Nico Rosberg and Felipe Massa. Exceptional ergonomics, ..
Price from: 2,640.00 лв. Ex Tax: 2,200.00 лв.